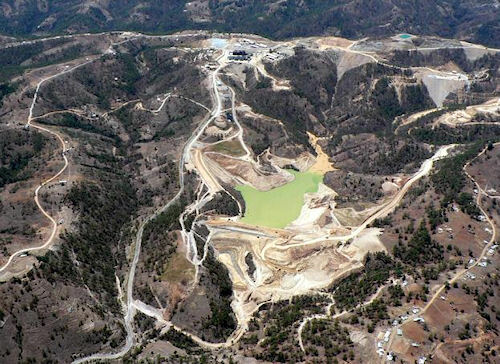 A research team from the Pastoral Commission for Peace and Ecology (COPAE) has confirmed, beyond all measure of doubt—that Goldcorp’s Marlin mine in the municipality of San Miguel Ixtahuacan, Guatemala, is poisoning local water supplies. On February 23, a research team from COPAE found levels of arsenic as high as 70 ppb (parts per billion) or 0.70 mg/L, in a river downstream from the mine. It’s an “alarming” find, says Ing. Fausto Valiente from COPAE. International standards for Arsenic Contamination of Groundwater have been established at a maximum limit of 0.1 mg/L by the World Bank, and 0.01 mg/L by the US Environmental Protection Agency, COPAE explains. Local communities have always known that their water was being contaminated by the mine. Indeed, they can feel it in their own bodies, and see it on the faces of their loved ones. 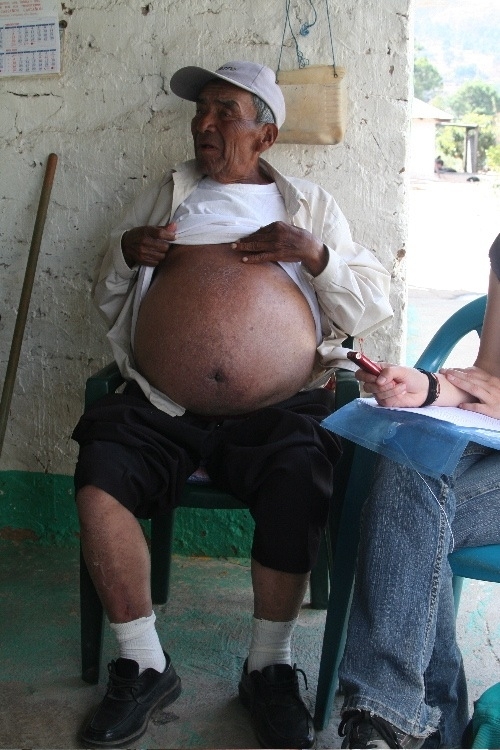 Rights Action, who recently conducted a series of interviews in the community, says that more than 60% of those they interviewed report that someone in their immediate family has suffered from various types of health problems, which they never experienced before the mine opened in 2004. “Similar skin rashes, hair loss and health problems have been documented after Goldcorp began its mining operations in Honduras in 2000,” Rights Action notes. Goldcorp, however, maintains that it’s not the result of exposure to any toxins, be it arsenic, cyanide, mercury, or any other chemical. Instead, Goldcorp says, it’s all the result of “bad hygiene,” a “lack of water” and “fleas”. Rights Action states, “There is no easy way to help the mainly Mayan Mam villagers being harmed by this mine. Goldcorp Inc. has the full support of the governments of Canada and Guatemala; early on, the World Bank was an investor in and supporter of this mine. It is fundamental that North American citizens hold Goldcorp Inc, its investors and shareholders and the American and Canadian governments accountable for the environmental and health harms and human rights violations being caused by Goldcorp Inc. in Guatemala, and elsewhere. American and Canadian citizens should write to – and keep on writing to – their politicians, making them aware of these situations, demanding that our governments prioritize global human rights and environmental concerns over global business interests, demanding that our politicians use their power and authority to help hold our corporations accountable if/ when they violate human rights and/or cause environmental and health harms. Canadians and Americans should write to and keep writing to their own Pension Funds and Investment Brokers – including the Canadian Pension Plan, to find out what types of corporations and businesses they are investing in, to demand that our investors prioritize global human rights and environmental concerns over profits, to insist that investments be withdrawn if/ when profits are being made at the expense of environmental and health harms and/ or human rights violations. This is slow, long-term work. We need to make our governments, companies and investment firms accountable to us in all facets of global economic relations and policies. Send a copy of this photo-essay, along with your own letter, to your own politicians, media, the company and your own investment firms or pension fund, demanding a response to your letters of concern and protest about this corporate and investment activity. CANADIAN Minister of International Cooperation, Ms. Bev Oda, 509-S Centre Block, House of Commons, Ottawa, Ontario, K1A 0A6, Oda.B@parl.gc.ca. Ottawa, Ontario, K1A 0A6, BerniM@parl.gc.ca, Maxime Bernier.